Founded in 2012, in Paris, the Van Kuijk Quartet recently won the 2015 Wigmore Hall String Quartet Competition, along with the associated Best Beethoven and Best Haydn prizes. In the few years since the quartet first formed, they have found success throughout Europe: as well as triumphing at the Wigmore Hall, the quartet won the 1st Prize and Audience Award at the Trondheim International Chamber Music Competition, in Norway, and are also laureates of the Aix-en-Provence Festival Academy and the FNAPEC Ensembles Music Competition, both in France. 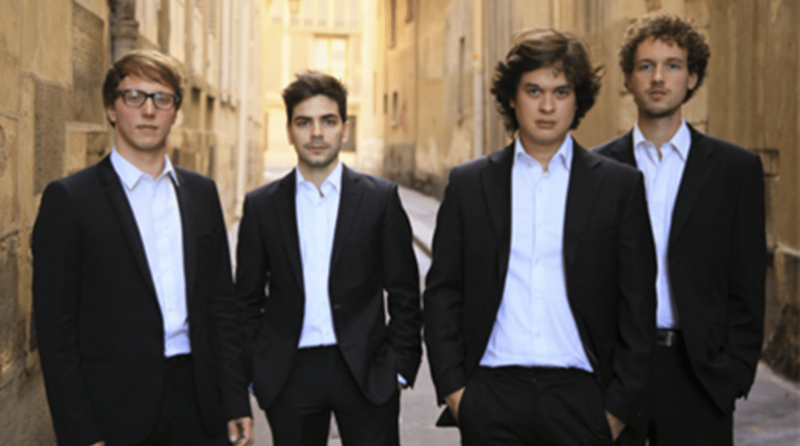 The Van Kuijk Quartet is in residence at Proquartet, Paris, where they study with members of the Alban Berg, Artemis and Hagen quartets. Having taken their first steps as students of the Ysaye Quartet, the young musicians now study with Günter Pichler at the Escuela Superior de Mùsica Reina Sofia in Madrid; their studies take place thanks to the generous support of the International Institute of Chamber Music of Madrid. 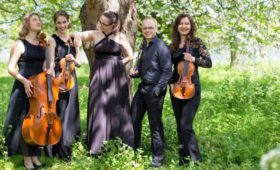 The quartet also participates in various academies; they have taken part in the McGill International String Quartet Academy (Montreal) with Michael Tree of the Guarneri Quartet and André Roy ; the 58th Weikersheim International Chamber Music Academy with the Vogler Quartet and Heime Müller, formerly of the Artemis Quartet; and others academies in Aix-en-Provence and Verbier. 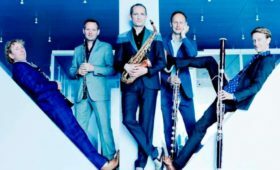 An established presence in major international venues, the Van Kuijk Quartet has performed at the Salle Gaveau in Paris, the Wigmore Hall in London, and at festivals in Heidelberg, Verbier, Aix-en Provence and Stavanger. 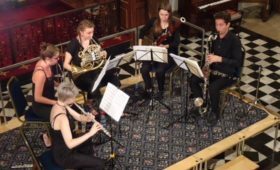 This summer, they will take part in the Tivoli Concert Series in Denmark and the Lockenhaus Chamber Music Festival in Austria.